Our Story - IDS Furniture, Inc.
IDS Furniture, Inc., based in Dallas, Texas, began as a re-upholstery shop but has since evolved into a rapid production line, constructing quality dining room seating, barstools, and benches, as well as providing retail stores and commercial designers with the ability to place hand-crafted goods into homes, hotels, and restaurants across the nation. All of our products are made with eco-friendly materials, including a kiln-dried hardwood frame from sustainably managed domestic forests and soy-based foam cores. 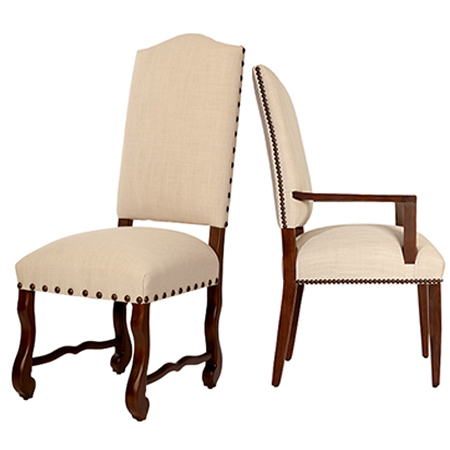 Each of our pieces is handcrafted by our experienced carpenters and upholsterers in the USA. Every frame is built in-house of Poplar and corner-blocked with double-dowel pin joinery to ensure lasting durability. To recap, yes, all of the wood comes straight out of the Appalachian Mountains, and yes, all of the frames are constructed in Dallas, Texas. We are truly an American-made product line of upholstered, dining room seating.